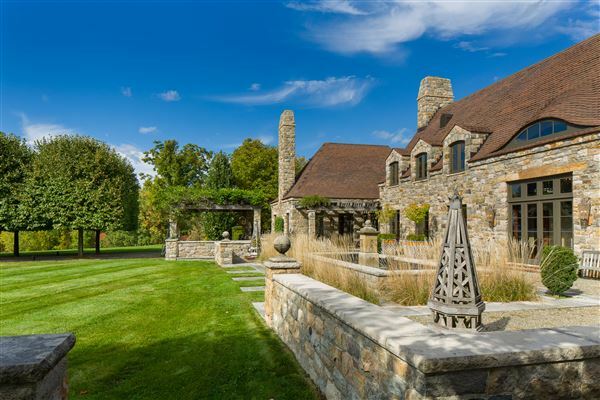 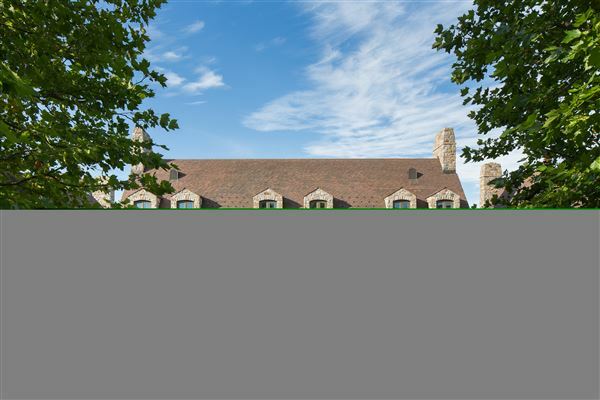 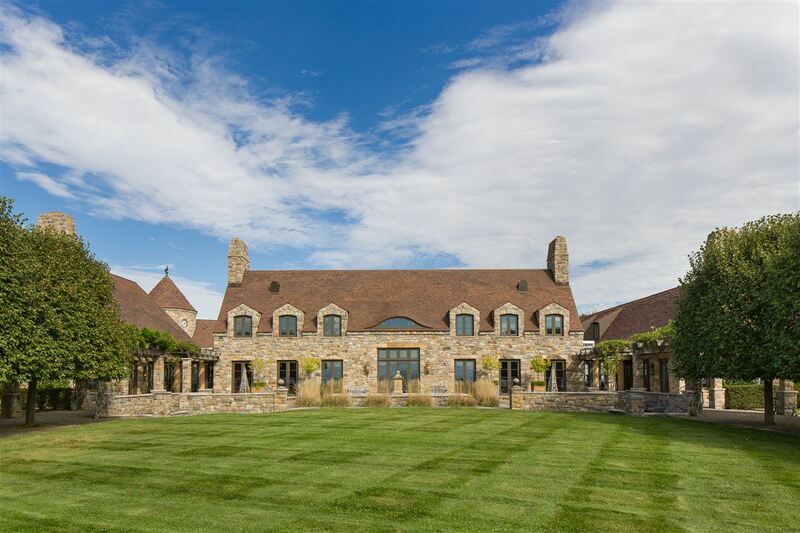 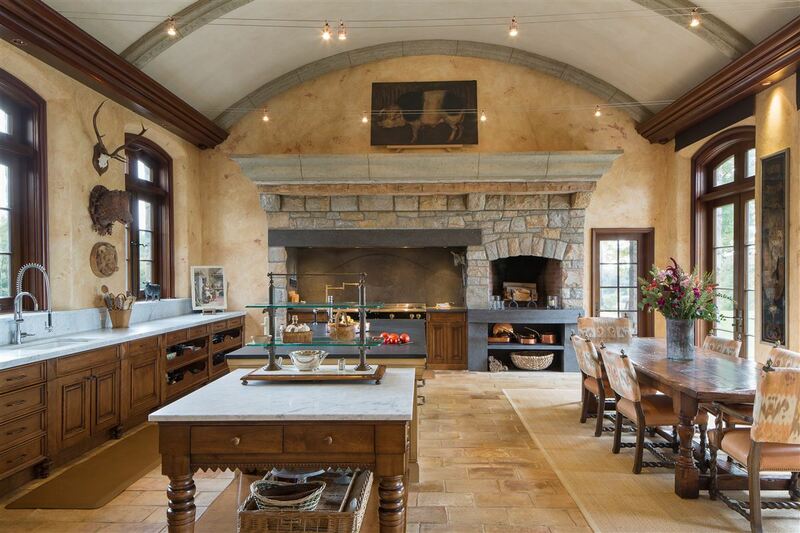 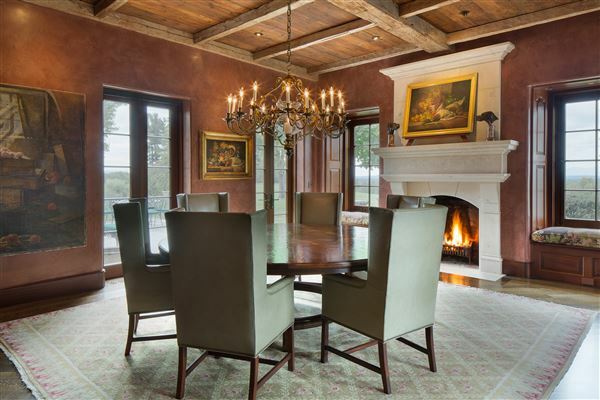 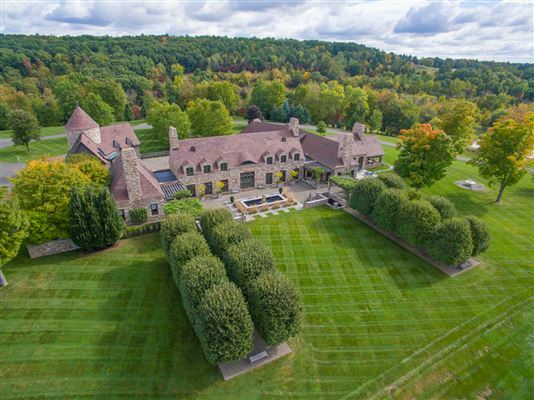 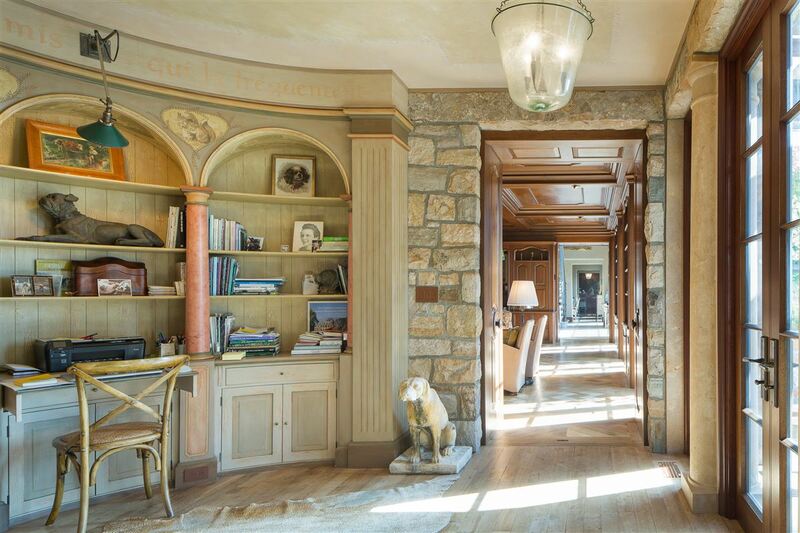 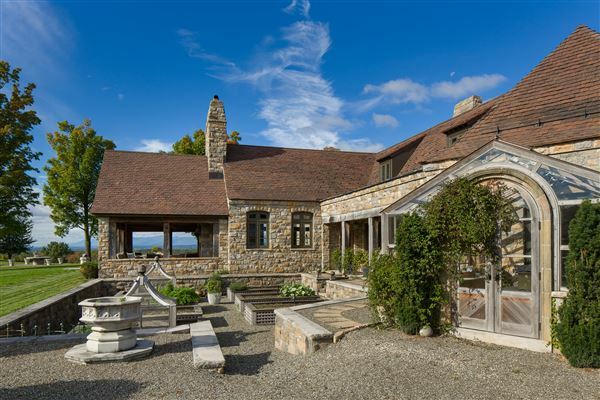 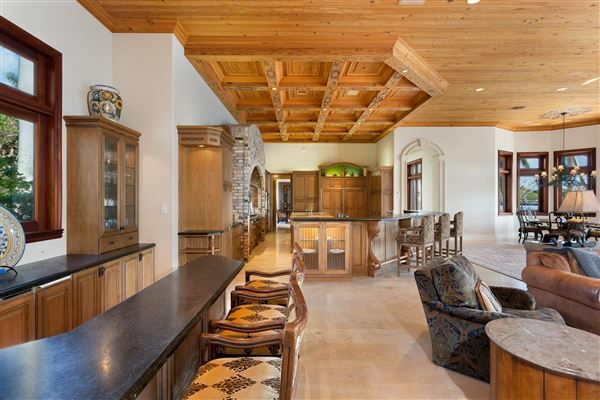 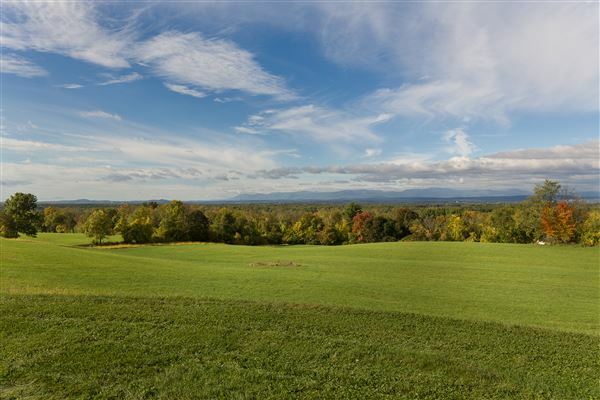 Featuring iconic views of the Catskill Mountains, this French-style estate is set on over 90 acres with rolling pastures and light woodlands creating a breathtaking setting. 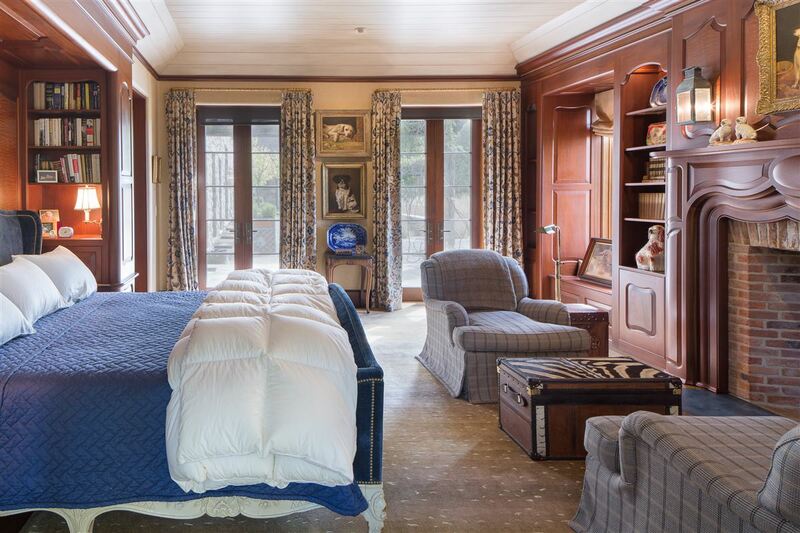 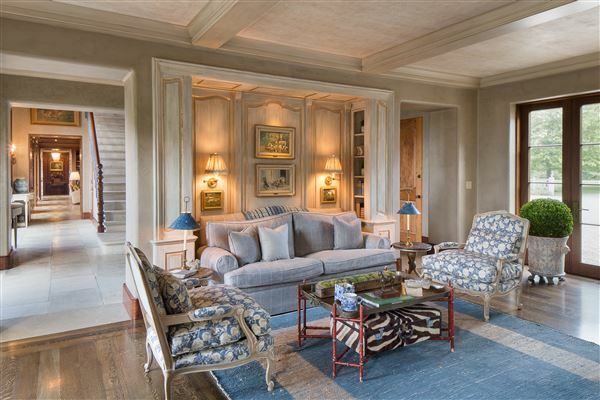 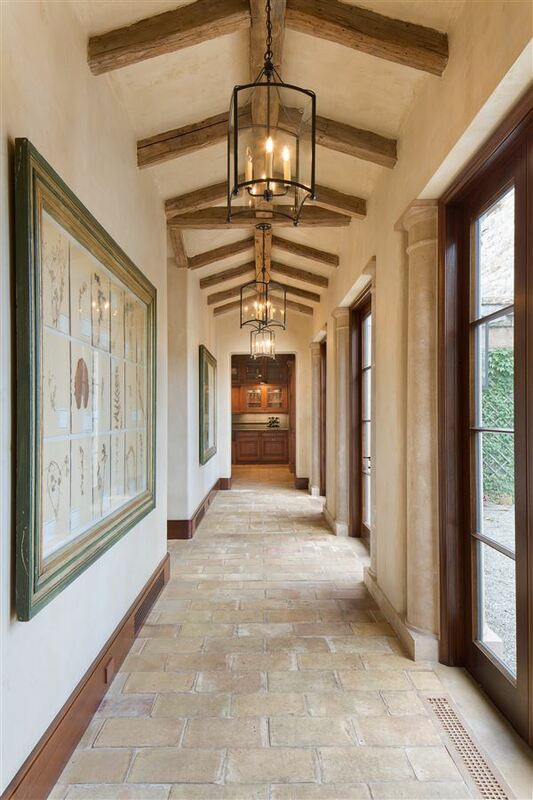 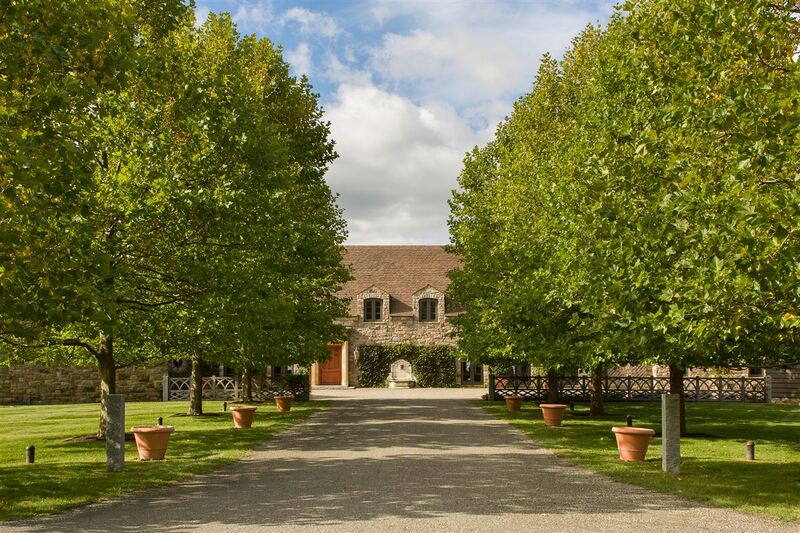 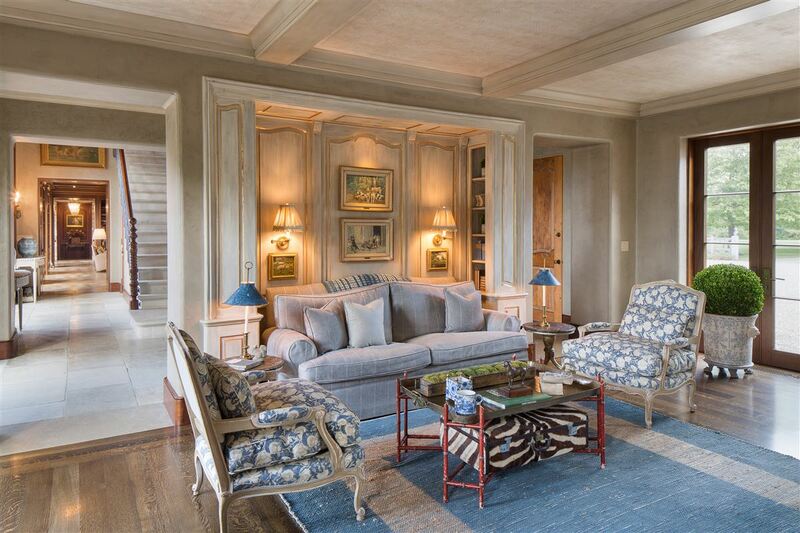 Reminiscent of a Normandy manor and designed in the European enfilade style, the perfectly-proportioned rooms feature hand-crafted details that rival Old-world craftsmanship and are combined with an infrastructure rarely seen in today’s construction. 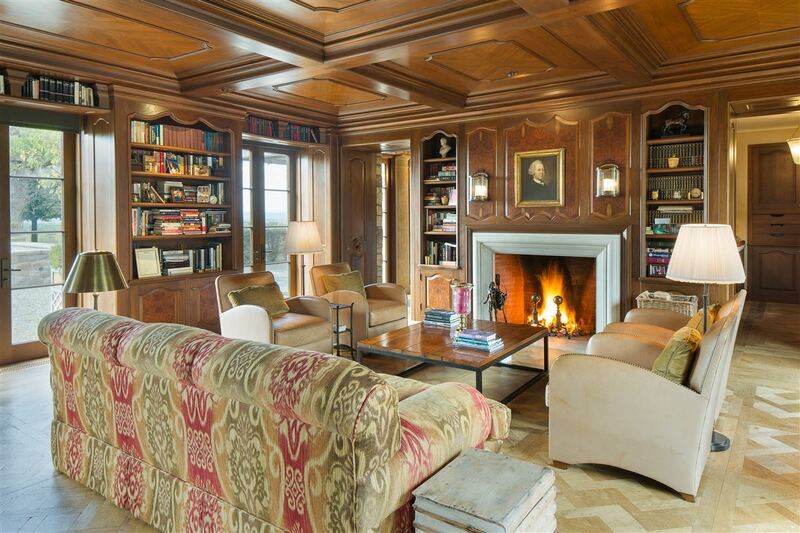 The impressive use of magnificent fireplaces specially-crafted for each room, imported stones and rich hardwoods, Venetian plaster, riffed quarter-sawn floors throughout the flowing spaces are unsurpassed; and with every room showcasing far-reaching views, it creates a residence of incomparable beauty. 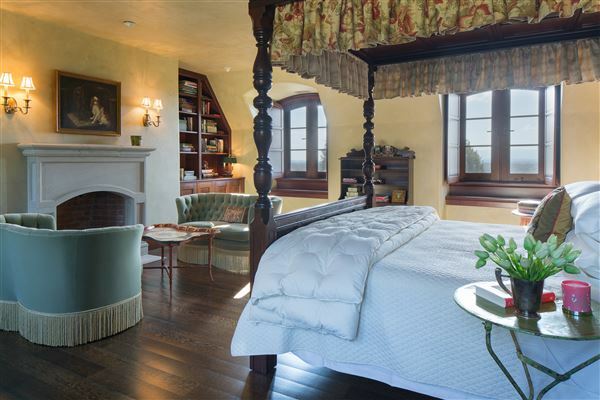 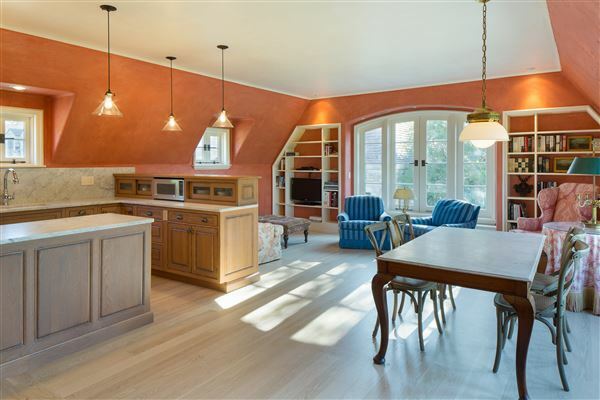 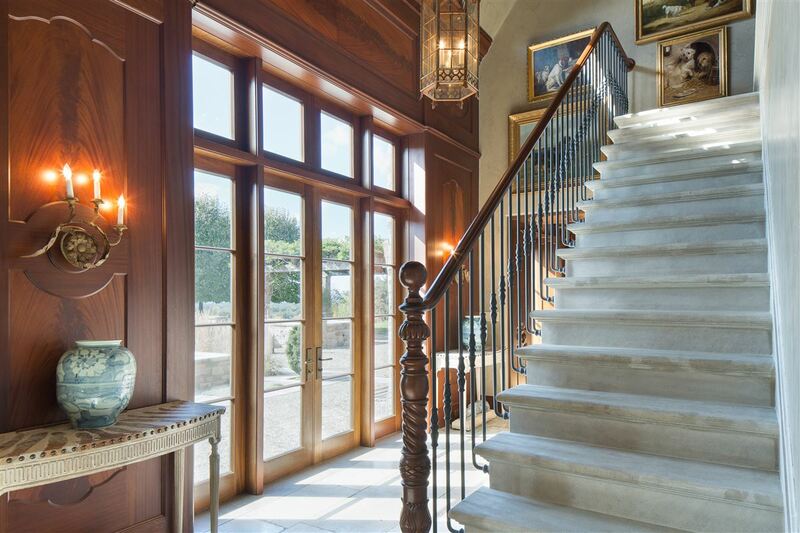 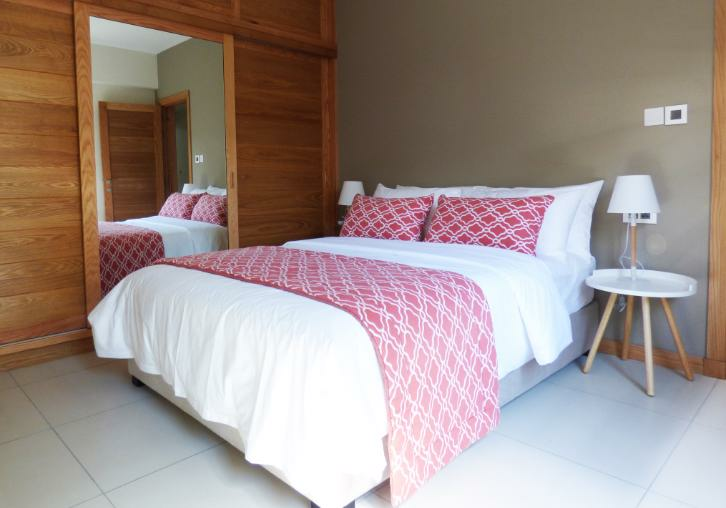 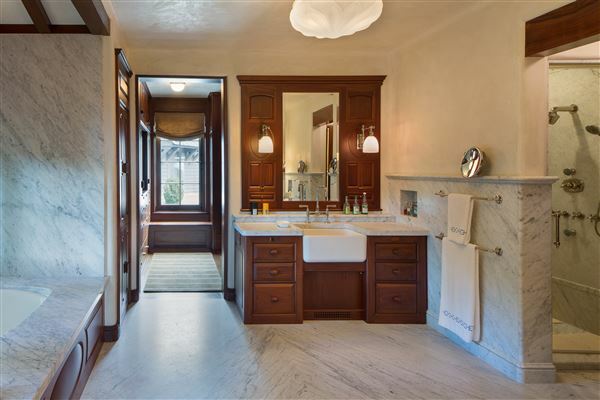 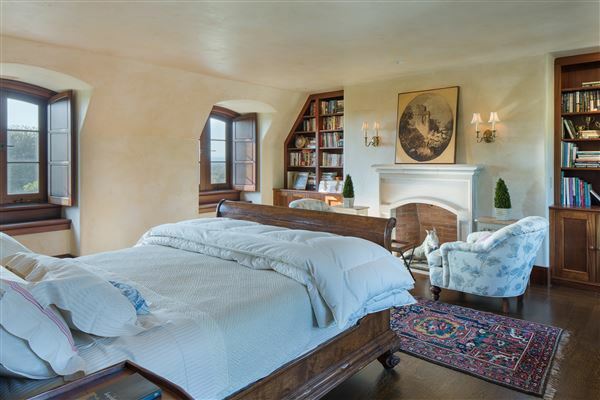 The second floor features three guest suites, one with its own staircase and full kitchen. 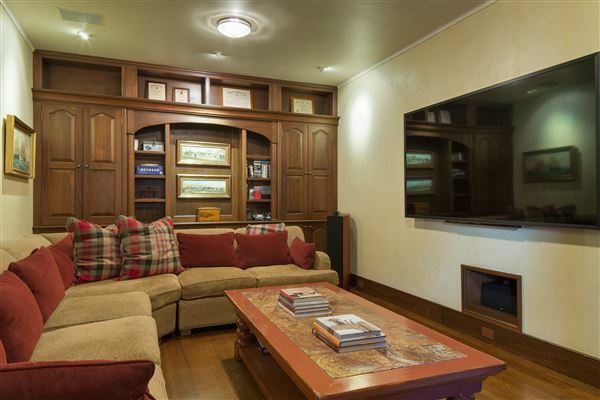 For entertaining, a lower level features a 2,500-bottle wine cellar, exercise room with full bath, workshop, and multiple storage rooms. 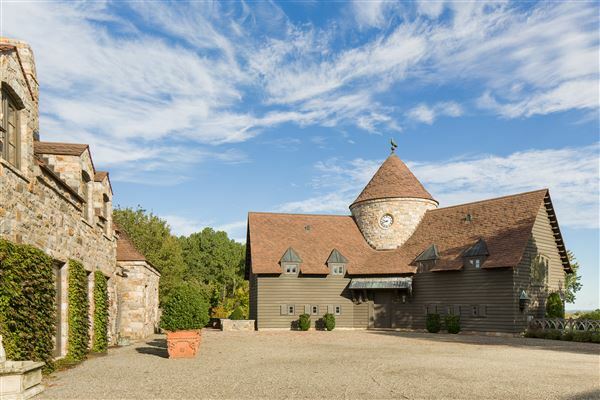 An underground walkway connects to the coach house featuring a large guest apartment and a stone clock tower. 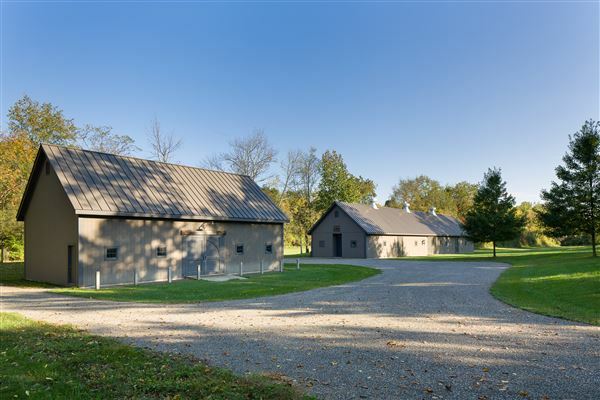 A recreation barn and large storage barn are set on a lower plain with a tree-lined winding road. 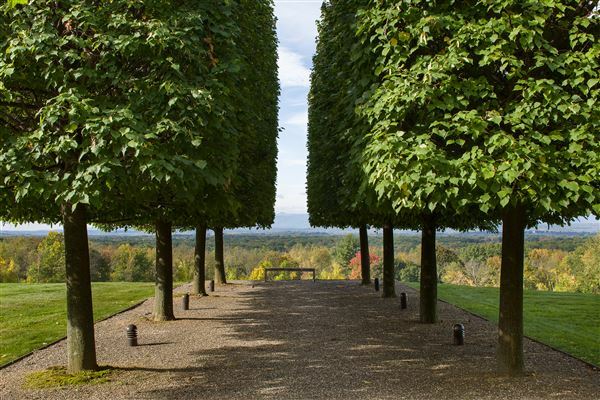 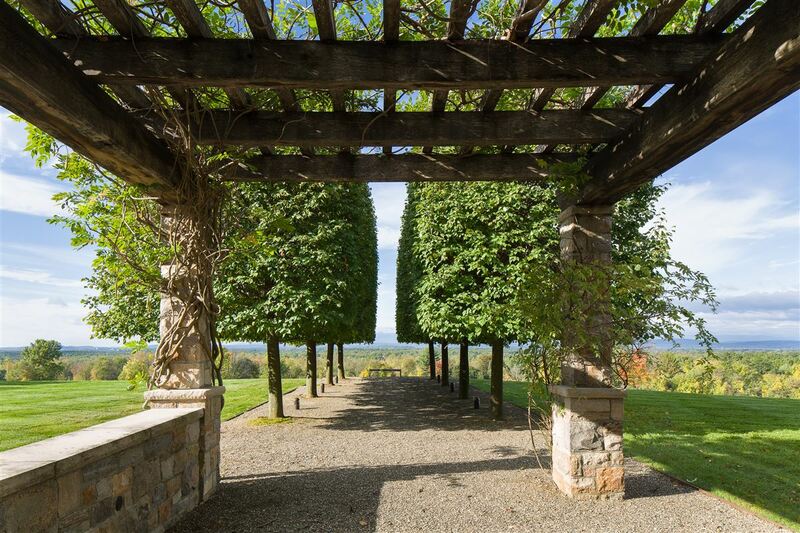 Outside, beautifully designed gardens include a double allee of pleached Linden trees, each with a wisteria draped pergola. 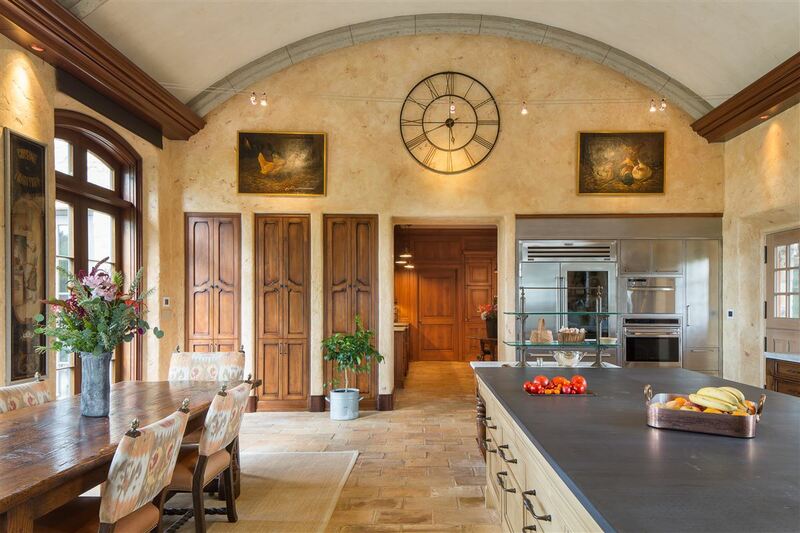 Centered by a French stone fountain, it dramatically frames the far-reaching vistas. A cypress greenhouse opens to a walled and sunken kitchen garden with raised beds and unique berry houses, and is overlooked by a stone veranda with built-in grill and fireplace. 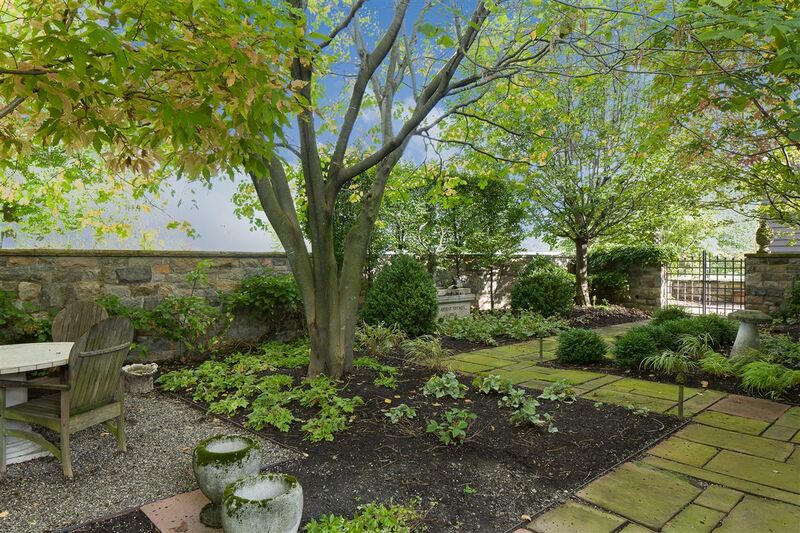 The first-floor master wing has its own walled shade-garden creating a private retreat. 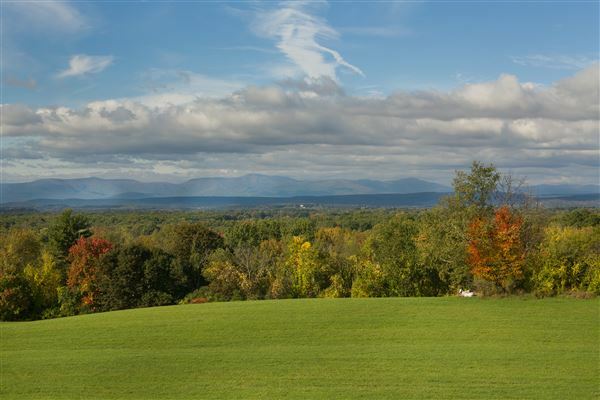 Only minutes to vibrant Hudson, NY, Folly Farm is one of Columbia County’s finest.